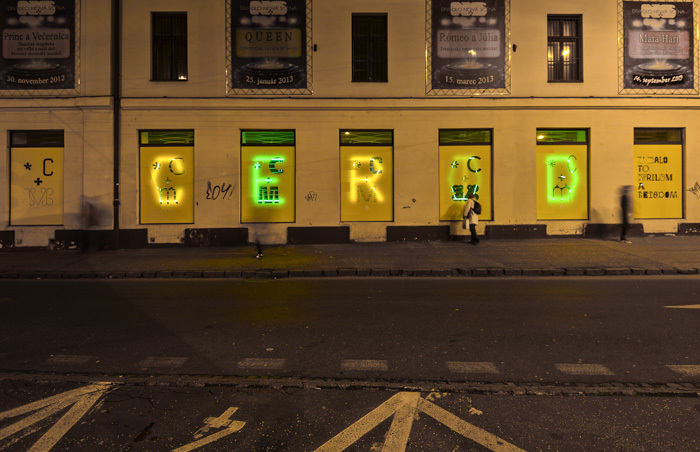 Site specific interactive light installation made for exhibition of Slovak type design and lettering. Duration: from 18th of december 2013 until 2nd of february 2014. Place: Gallery Satelit, Bratilava – Slovak Design Center.